ACOUSTIC EXPO 2013: Hand-built in Downpatrick, Northern Ireland, between 500 and 600 Lowden guitars are made each year by a dedicated team of craftsmen including George Lowden and his two sons. Time honoured traditional methods used by fully trained craftsmen in their field make these genuinely hand-made guitars. You can see the process captured in photos through the Lowden guitar making gallery. We are pleased to feature three guitars from Lowden in the Acoustic Expo, and you can discover their full range by viewing their catalogue here. The Original Series designs were first developed back in 1976. George Lowden says of the guitar, "Over the years the 32 has become more sought after, especially because of its full bodied yet very clear, defined tone." Click here to learn more about the Lowden Original Series F32. The Lowden 35 is for the serious player who can appreciate a whole new world of subtle tone colours and dynamic range. Click here to learn more about the Lowden S35. Eric Clapton recorded Reptile and Pilgrim using his Lowden O38, playing it on the live broadcast when he received a Grammy award for his hit song If I Could Change The World. Click here to learn more about the Lowden O38. 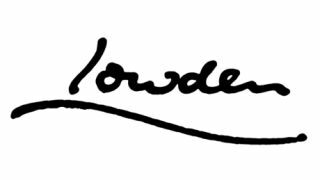 For more information visit the official Lowden website or connect with them on Twitter, Facebook, Pinterest, Instagram and YouTube.